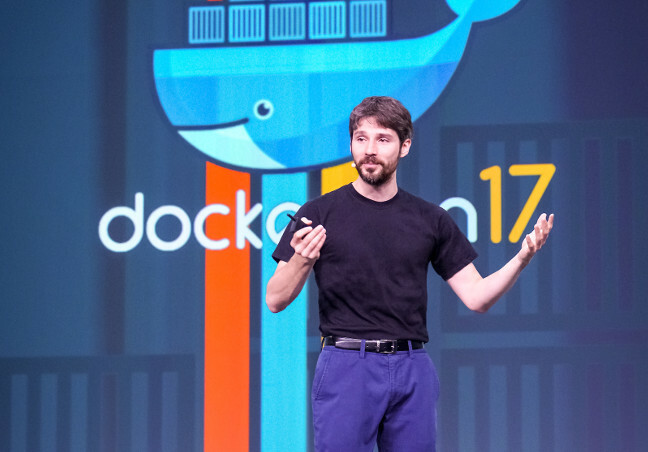 Solomon Hykes, a founder of Docker, has moved on from his role as chief technology officer of the company. According to representatives of Docker, Hykes has moved to new roles as vice chairman of the board of directors, and chief architect. The move comes after the company’s other major co-founder, former CEO Ben Golub, departed the company in March. Hykes, or Shykes as he goes online, has always been a bit of a lightning rod at otherwise Valley-darling Docker. Hykes founded the company in 2007 with Sebastian Pahl. They were rejected by famous Valley incubator YCombinator twice before finally being accepted by Paul Graham on a whim. Back then, the company was called DotCloud, and shortly after the YCombinator funding, Pahl left in 2011. Today, Pahl works at Mesosphere as director of engineering. Hykes continued to push DotCloud, a PaaS offering for cloud developers, until 2013 when the company’s take on Linux Containers gained traction. Shortly thereafter, the company ballooned to take in almost $250 million in venture capital. The competitive environment for Docker has changed drastically in that time, with the company increasingly sharpening its focus to address the needs of the enterprise market. Just recently, the company announced support for the Kubernetes open source container orchestration engine, seemingly at the sake of its own internally developed container orchestration play known as Swarm Mode. While Docker still claims Swarm has a place in its stack around security, Docker Enterprise Edition will now include Kubernetes, alongside Swarm. The company was one of the inaugural members of Cloud Native Computing Foundation, which manages Kubernetes, and Hykes is on the organization’s Technical Oversight Committee. Last year, Hykes stirred controversy with the open source container community, Tweeting incendiary things such as accusing the OCI container specifications of being a “fake standard,” and doubting claims of any other company claiming to offer full Docker support. Docker, he asserted at the time, moves too fast to be supported by 90 percent of the vendor community, he tweeted. The company also announced Monday that Jeff Clarke, CEO of Kodak, has been appointed to the company’s board of directors. News of the change in Hykes’ role was distributed via email, and has been confirmed by Docker. The Cloud Native Computing Foundation and Mesosphere are sponsors of The New Stack.